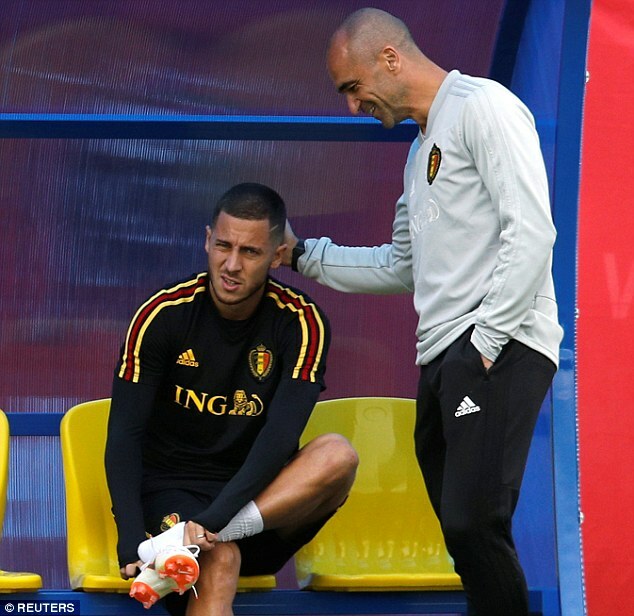 Eden Hazard (with Belgium boss Roberto Martinez, left, today) has revealed he supported France growing up ahead of playing them with Belgium. 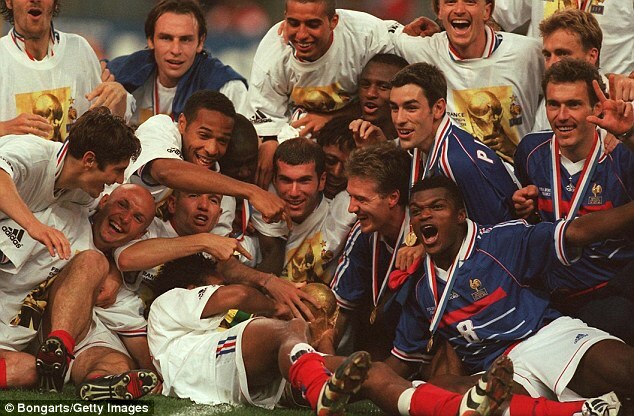 The Chelsea forward helped his nation to the World Cup semi-finals – but there might be split loyalties after he admitted he followed Les Blues after their 1998 win. 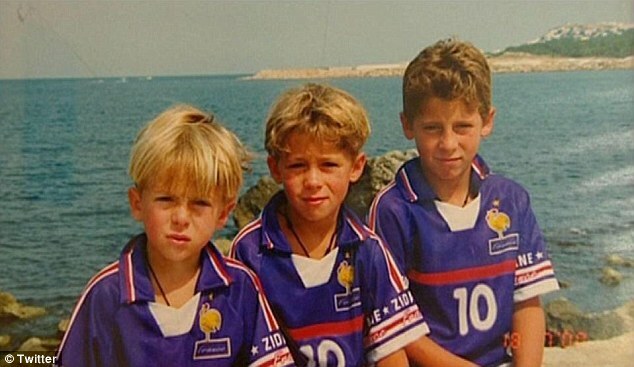 Hazard is pictured (centre) wearing a France shirt. 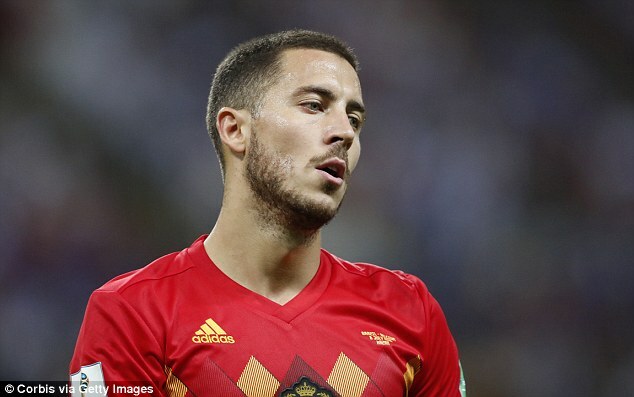 The Chelsea forward helped his nation to the World Cup semi-finals on Friday evening as Hazard and his team-mates managed to overcome favourites Brazil in a 2-1 victory. 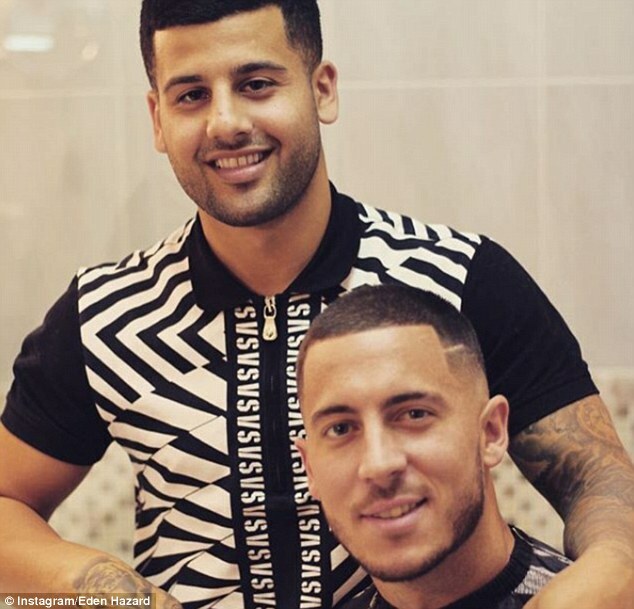 But there might be split loyalties for Hazard after he admitted he followed Les Bleus after their victory in the competition in 1998. 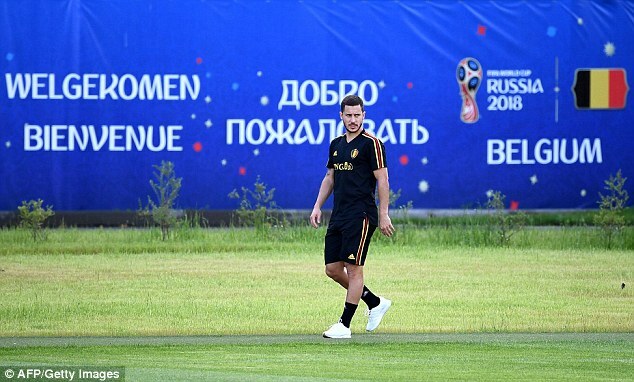 The 27-year-old grew up in a French-speaking area in Belgium and has had a long association with the country, having joined Lille as a 14-year-old. 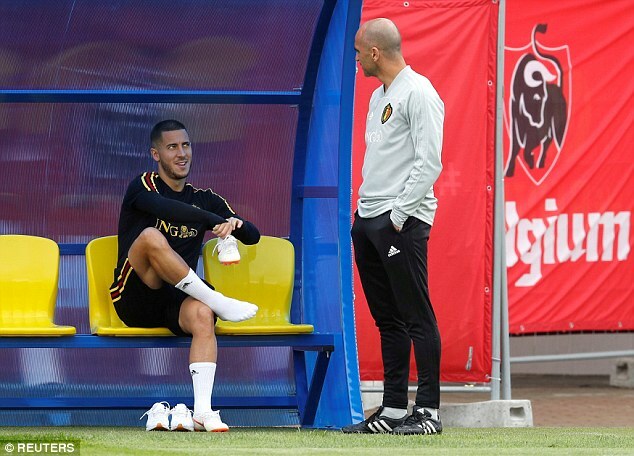 Speaking ahead of Tuesday night’s crunch clash, Hazard admitted: ‘With my brothers, we have always been more supporters of France than Belgium because we grew up with 98. ‘At the time, there wasn’t the jersey of Belgium, that’s why we wore the one of France. Even now, Hazard has players in the France side he admires, not least wonderkid Kylian Mbappe. He continued: ‘I have a lot of respect for what he’s doing. ‘If Mbappe was watching videos of me when he was younger, now it’s me watching videos of him.